Symptom: Random Excessive width / Pincushion. 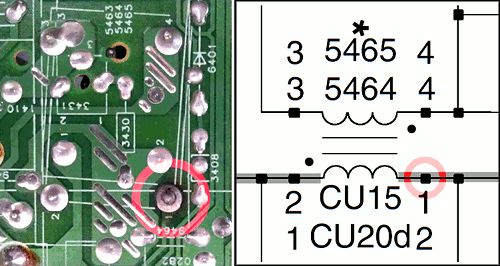 Problem: Bad soldering of pin 1 of component 5464 (A2 - Line Deflection). Solution: Resolder the bad pin.